What is Power Fusion Yoga? Power Fusion Yoga is the name of a style of yoga which blends, sequentially, some of the best yoga asanas for a maximum of energy, power, flexibility and strengthening, and takes your teaching skills to a new level by giving you More Than Just Yoga Teacher Training. Basic beginner levels gradually increase to the fullest extent that can be taken to a degree as advanced as your body will allow you to go. Yoga is an individual and personal practice based upon your body's internal intelligence. Listening to the body will always provide you with the most beneficial course and direction for your practice. With time, care and honoring your body's own parameters, you will experience the level that is right for you. Yoga is an ancient science. Once the mind, body, breath and spirit are integrated, the full power of yoga (the word yoga means "union") will be manifested. Let this powerful system of fusion begin to open up levels of a source of energy and consciousness beyond the material and physical plane. By expanding into meditation and pranayama, you will then begin to experience true unity consciousness. As a heart centered healer, you provide excellent care for those you work with, but you may be struggling to make ends meet. Are you ready to Ignite Your Value and Become More Marketable? Unfortunately, those in the healing arts don’t think it’s spiritually in-line or appropriate to prosper monetarily or charge what you're worth, but nothing could be further from the truth. You are meant to prosper greatly in every area of life and pass that gift on to others. 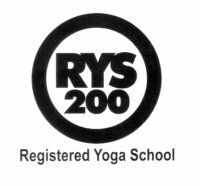 Prosperity, abundance and perpetual growth are the laws of the universe, and you will learn how to command the higher fees that you truly deserve by not only learning and increasing your knowledge in yoga teacher training skills, but by getting an even higher level of advanced training beyond the ordinary levels. Learn advanced skills that will increase your own Self-Empowerment and allow you to break through unconscious self-imposed limits. You will learn how to become not just a teacher, but a Highly Trained Heart-Centered Professional who will be able to give incredible benefits to those who need it. You will learn all the skills to bring yourself to the next level in order to help others, and be paid very well for your knowledge. You’ll go way beyond getting a basic teacher training certification. You will increase your marketable skills tremendously to generously increase your income. This course will give you a 200 hr. Yoga Alliance Teacher Training Certification and much more. You will learn how to break through limiting beliefs within your own subconscious and learn to teach with authentic empowerment. You will profit wildly from your inner fire and start the spark to Ignite Your Value! This is a three month / 250 hr. course. Sessions are each weekend, Saturday and Sunday from 8 am to 6 pm. Are you ready to break through to a Higher Level of Heart-Centered knowledge and Abundant Prosperity? Please join me in creating your new path to Ignite Your Value through Power Fusion Teacher Training!